Branding is not only about creating an identity for products sitting idly on the supermarket shelf looking for ways to compete for your dollar. Anything that can be sold or traded – be it services, ideas or even sounds – can be branded. The same goes with you: if branding is a promise of quality and value, why not use the same principles to build a positive and inspiring image when managing your career? One of the most fascinating aspects of branding is that it already happens in your professional circle so why not lead the conversation? Try these five easy-to-implement tips on uncovering your unique talents and building your brand identity. Many people and organisations are tempted to communicate all the things they can do in the hope of attracting as many customers as possible. This scatter-gun approach can cause confusion and muddle your brand identity. Your target audience needs to identify your value proposition quickly so focus on promoting just three or four important values or talents. Recurring themes in your resume or performance reviews can help uncover the most valuable ones. Your resume is not your only branding tool. Other social media profiles such as LinkedIn, your biography on presentations and your business cards should create a complementary whole. Use the same or similar photos on all media, keep your skills and qualifications updated on all professional networks and refresh your executive summary when you complete projects or change roles. Remember that no tool performs all jobs and the text on your resume will be different in length and content to other media such as your Twitter account. Publishing content is an excellent method of creating and maintaining your professional reputation. If you have your own website, start a blog section where you post engaging and informative content on a regular basis. Use social media channels to promote your content and take the opportunity to speak at conferences or other events. No one likes a constantly self-promoting social climber though so be generous of spirit and engage with your peer groups to develop the talent pool in your field. You’ll still stand out, promise. Your branding efforts cannot pay off if they are aimed at the wrong audience. Build a strong online presence but broaden your field and nurture and your contacts in person at networking events, courses and social gatherings. Personal referrals are a prime source of job leads and other opportunities as well as confirming that your career branding efforts are on the right track. There are dozens and probably thousands of people around the world with your qualifications, background and skills so what makes you stand out from the crowd? Get to know the qualities that make you memorable and cultivate them as part of your value proposition. Also, hit the ‘off’ button and get to know people’s personal interests outside the workplace and share your own — that bike ride for charity you’re training for, the academic paper you’re researching or the boat you’re restoring also make you memorable. 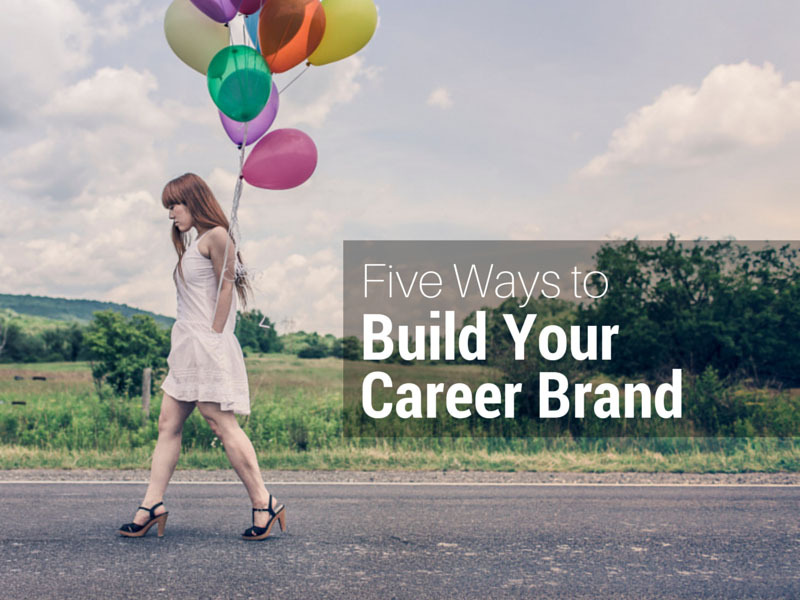 Overall, career branding is a way of getting to know yourself and what you can offer in a crowded market. Start building your professional brand and you will gain greater self awareness, be more recognisable in your field and become open to more of the right opportunities.